Ethiopian Prime Minister Abiy Ahmed received widespread praise on Tuesday after appointing half his ministerial posts to women during a cabinet reshuffle. Only four appointments remained the same in the reshuffle that has been hailed an "important step for gender equality," by a number of Ethiopians. Included in the changes was a reduction of ministries from 28 to 20, and the creation of a new ministry: the Ministry of Peace for which a female candidate, Mufuriat Kami, was appointed head. Aisha Mohammed was appointed the country's new defence minister, marking the first time in Ethiopia's history that a woman has assumed the post. "By elevating an increasing number of women to positions of leadership, Prime Minister Abiy sends a strong message that women's empowerment will remain central to his administration," government official Abebe Abebayehi wrote on Twitter. Following Tuesday's reshuffle, Ethiopia became the second African nation to achieve gender parity in its cabinet after Rwanda. Gender equality in Ethopia's cabinet is just the latest in a long line of reforms Abiy has undertaken since assuming office in April this year. In May, just one month after becoming prime minister, Abiy took the decision to release hundreds of political prisoners, including opposition leader Andargachew Tsege. Andargachew Tsege, an Ethiopian-British politician, was accused by the Ethiopian government of plotting a coup and was charged in absentia in 2009, and sentenced to death. He was later arrested in Yemen and turned over to the Ethiopian authorities, who imprisoned him and placed him on death row. He spent four years in jail before being freed by Abiy, a move that was supported by the international community. In a tweet from last month, Tsege appeared to reference his past when announcing his recent marriage to his wife. "Never knew the journey from to hell to heaven was so easy," he wrote. 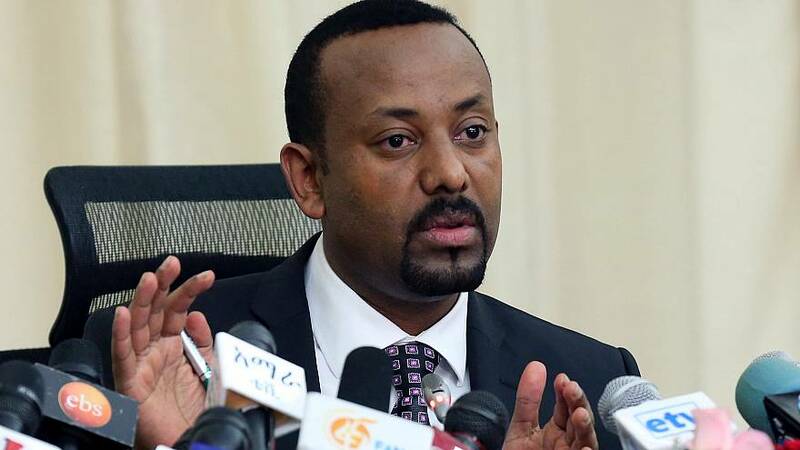 President Abiy has also been applauded for reestablishing diplomatic ties with neighbouring Eritrea in July, ending two decades of conflict between the two nations. He agreed to give up disputed border territory, and, by September, had reopened the land border. The leaders of the two nations have since met in person several times, the most recent meeting captured in the Facebook image below, showing Abiy and Eritrean leader Isaias Afwerki in a friendly embrace earlier this week. Despite making several historic changes in Ethiopia in the few months since taking power, Abiy has not been immune to criticism. Ethiopia has long been plagued with ethnic violence, resulting in scores of deaths, displacements and arrests across the country. Most notably, the Oromo people, Ethiopia's largest ethnic population, have staged many anti-government protests over the years, which have been met with violent resistance from security forces and other ethnic groups. Abiy, who is Oromo himself, has been criticised for not doing enough to protect civilians from the violence. A UN report released in June this year estimated more than a million people were displaced due to violence as of mid-April 2018. According to Reuters, who quoted regional officials in the western state of Benishangul-Gumuz, more than 70,000 people, mostly Oromos, were targeted by other ethnic groups in late September. But with Abiy's recent cabinet reshuffle, and the creation a ministry for peace, could Abiy be looking to broaden his pursuits for peace in the months to come?